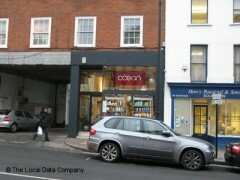 Antonello at Ocean in Highgate is, in my opinion, an excellent colourist and hair cutter. I have been going to him this year (2014) and have never been happier with my hair. I love my blonde highlights and the bob style is very easy to look after and it looks great. Ocean prices are incredibly reasonable too. I thoroughly recommend Antonello, who is very friendly and listens to what you want. His fellow staff are friendly and easy going too, and it's a nice place to go.